This time of year leaves folks hoping to earn extra money as they holiday shop, but officials are warning people of a new online scam. "Whenever people look for a little extra cash, it pops up more, of course it’s the holiday season, people are shopping, folks want to get reimbursed for what they buy or get paid," Lora Rae Anderson, a spokeswoman for the Department of Consumer Protection (DCP) told NBC Connecticut. Experts say these sorts of scams aren't new, but are certainly relevant during the holiday season. "It’s an absolutely legit looking check. I hadn’t heard of this one before. It’s around the holidays, it looks very tempting," said Ray Gervais of Brooklyn, Connecticut. But it turns out, the nearly $3,000 check to would-be mystery shopper Gervais is a fake. "I noticed right off the bat there were a lot of red flags. I just thought someone might not spot them and they should be forewarned," Gervais said. Gervais said he almost fell for the fraud too, if it weren’t for certain signs. He said he was not required to fill out forms after mystery shopping Starbucks, Subway and McDonald’s. In addition, he got a letter directing him to deposit the cashier’s check immediately, and then deduct a $300 commission. "After I took $350 dollars for myself, said to send three money grams to three different people in Texas, for $877 a piece, thinking, why would you do that? Found out from bank, they don’t have a number that high on cashier’s check. Fraudulent check and all three houses with names on them are for sale and vacant," Gervais added. Anderson said: "None of these companies will ever ask you to wire money. If someone says I’m sending you a check and I need you to wire someone money based on that check you should never do it, not even for a family member." Anderson encourages people like Gervais to do their own research by ignoring the numbers and emails on that initial electronic correspondence and instead go straight to the source. She also said to file a complaint with the DCP office or the Federal Trade Commission if someone falls victim to the scam. 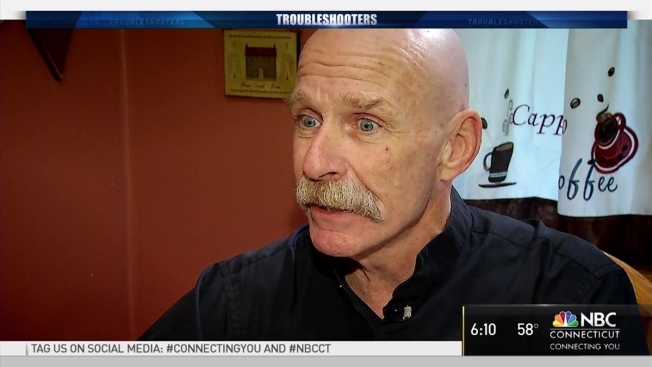 NBC Connecticut Troubleshooters tried calling both numbers affiliated with the company and one line was disconnected. The other had a generic voicemail, and the calls were not returned. "Unfortunately, when they can’t find the person that needs to pay the money back to that consumer, the consumer is out of a little money. Which is why important to do your homework ahead of time and file complaints and let people know this is happening? And if you have have documents or dates include whatever information they have, receipts they have, and people can email dcp.frauds@ct.gov," Anderson said. "Complaints with the Federal Trade Commission are tracked nationally, and if trends are discovered, they’ll act and warn folks on a national platform," Anderson added. DCP officials also recommend you check out www.mysteryshop.org to help verify whether the company you’re working with is reputable.